The answer is always the same: Because Johannesburg is such a cool city. There is so much energy, positive developments are taking place everywhere, and there is so much to do! Have you been to this new place in …(fill in the blanks)? Rough guide: Top 10 cities to visit in 2015. Joburg is the number 1 city! The Daily Maverick: 2015 is Joburgs Year; Take that Cape Town! I also don’t understand why this negative image is still so present for people living in Joburg. It seems like they need foreigners to take them out of their comfort zones and show them how much has changed over the past years. Especially the last 5 years, the transformation of what used to be no-go areas, has been incredible. You can see it with your own eyes in neighbourhoods as Maboneng and Braamfontein. The past months I have been exploring Johannesburg as a tourist again. Friends and family came over, so we visited the highlights of Johannesburg. It had been a while since I had visited Maboneng, and the change was incredible. Especially, if you walk through the adjacent neighbourhood New Doornfontein, the area where the new developments of Propertuity are taking place. The cool and huge Mandela mural is well known in this area. But there is more to it. Social and affordable housing is available now, there is a primary school, more murals to be seen, streets are clean and coffeeshops are opening their businesses in this area. A truly mixed neighbourhood. Old run down buildings, think about what you can do with this building! Also, in the feared CBD you can see the change. People who are born and raised in Johannesburg often wouldn’t think of walking through the CBD. Rightfully so, as they have often experienced violent encounters in the ’80s, ’90s and ’00s. But they are missing out! There are many guided walks through the CBD, I joined the Regenerated Inner City tour with Gerald Garner. It takes 6 hours, but then you understand the rise, fall and revival of Johannesburg. It is incredible, for tourists, but even more so for South Africans. They know what the inner city used to look like, how it was a couple of years ago and what it looks like today. The cool thing about the CBD, I think, is that the developments are taking place under the surface. Small developers and investors are realising affordable apartments, which is key to create a living environment in the inner city. If you have ever read Jane Jacobs The death and life of great American cities, you will see the similarities between New York in the 1960’s and Johannesburg now. The inner city areas are run down, people are living their happy suburban lives behind high walls, and they are generally not very open to see and experience the possibilities and change. The contrast is amazing, makes the old buildings stand out! So many rooftops which could be repurposed! Someone mentioned during the tour, that a ‘wall tax’ should be introduced to South Africa: every meter of (high) walls around your property should be taxed. I thought it was a great idea! Breaking down the walls is great for social security (eyes on the street) and the tax revenue could be invested in improving public spaces. The neighbourhoods in Johannesburg can be as successful as SOHO and Meatpacking District! Great read thank you! I love this city, born and raised but live in bristol and other parts of England for 8 years. 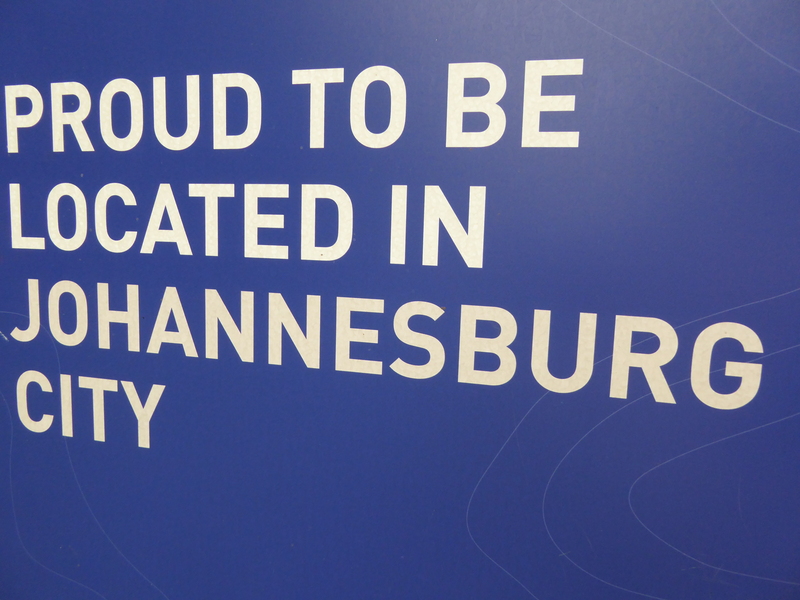 But you always have Jo’burg in your heart :) and coming home seeing the transformation first hand is fantastic.